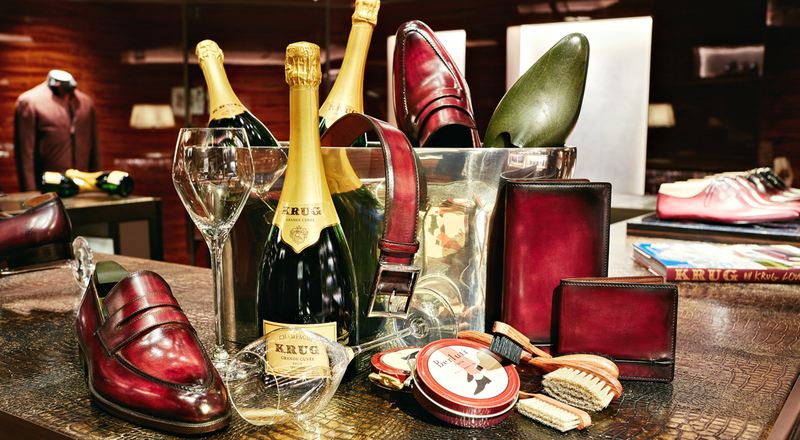 The collaboration between Berluti and Krug creates a unique pairing of shoemaking savoir-faire and prestige Champagne. 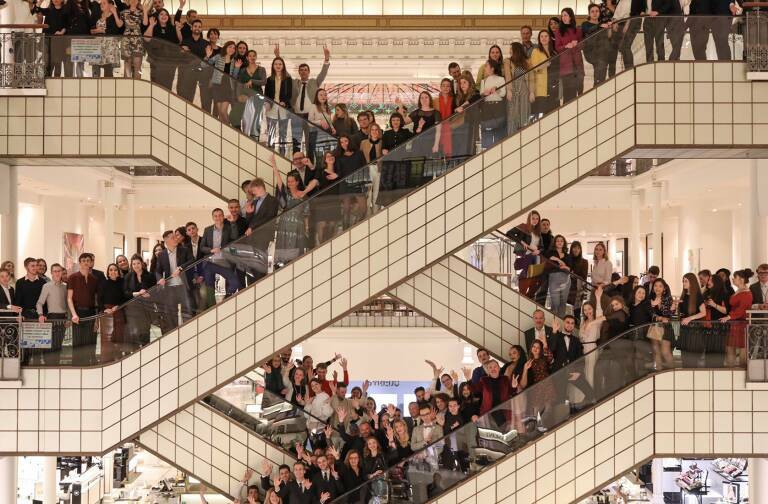 This first chapter in a long-term alliance celebrated a special Krug patina at Berluti stores around the world. 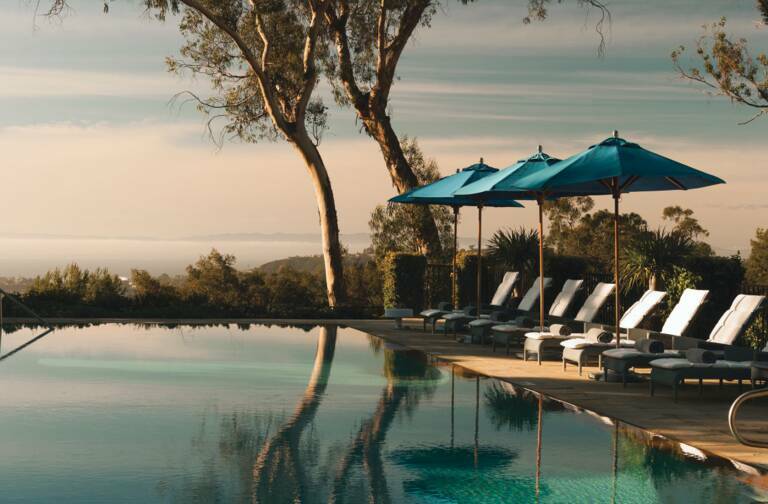 The creative collaboration between the grand Champagne house and the House renowned for elegant footwear, leather goods and fashion is far from a coincidence. Both founded in the 19th century, the two Houses share a philosophy that perpetuates their heritage through an ongoing quest for excellence. The first chapter in the partnership saw the creation of a special “black cherry” Berluti patina, a tribute to the founder of the Champagne house. Joseph Krug always kept a notebook in this distinctive color with him to jot down his thoughts and ideas. 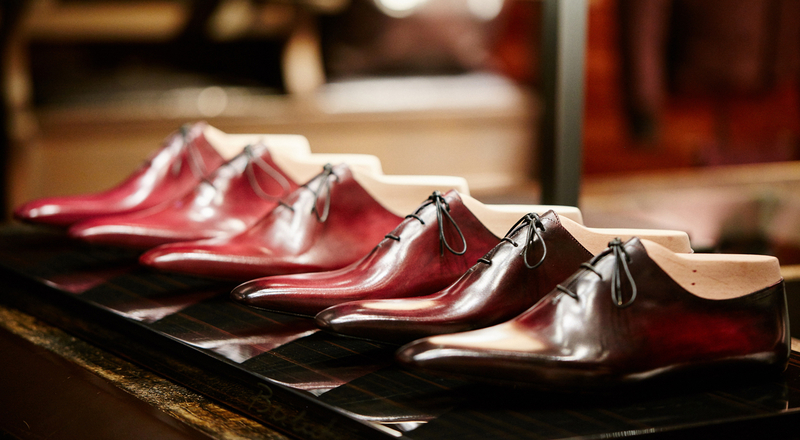 The presentation of the patina provided an opportunity to propose an original tasting of Krug Champagnes, each paired with a Berluti shoe model.